Your backyard is the perfect place to help honeybees! All it takes is the right food sources for bees, along with providing them with water. A honeybee collecting from a dandelion. Spring has officially arrived, and soon dandelions will start popping up everywhere! Before your dad (or whoever has the task of taking care of the lawn) starts up the lawn mower, tell them to wait a couple weeks. 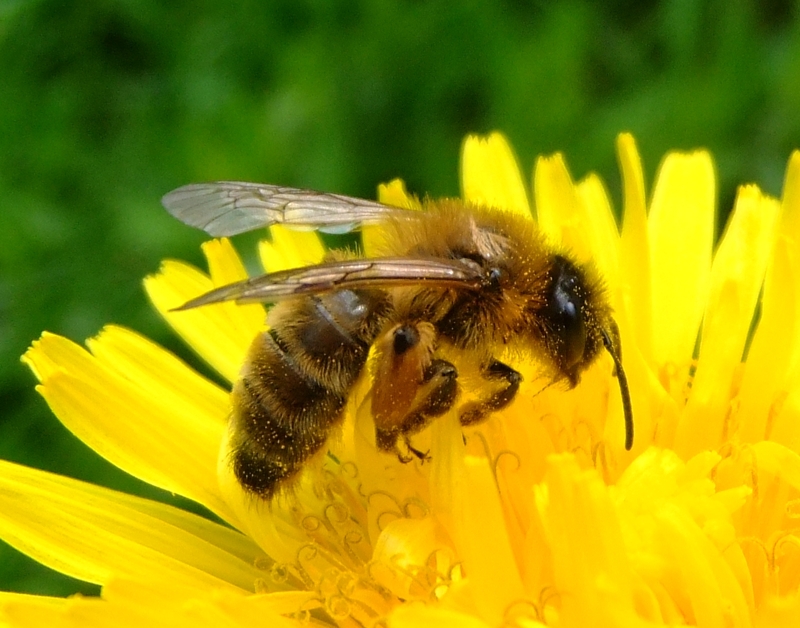 Dandelions are a honeybee's first food source before the other flowers start to bloom. When it comes to other food sources for honeybees, we can help by planting what they like. Honeybees like plants and flowers that provide plenty of nectar and pollen. Some great flowers to plant for the spring are crocus and hyacinth. For summer and later blooms, try planting asters, goldenrod, cosmos, and zinnias. With all the flying and work honeybees do to collect nectar and pollen, they get thirsty. Getting that drink of water can sometimes be difficult. 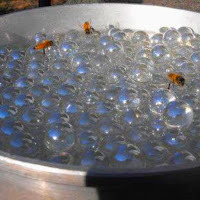 To help the bees out, place marbles or rocks in a shallow dish, and add fresh water. The bees can land on the rocks without risk of drowning. Place the water container near your newly planted bee-friendly plants for easy access! 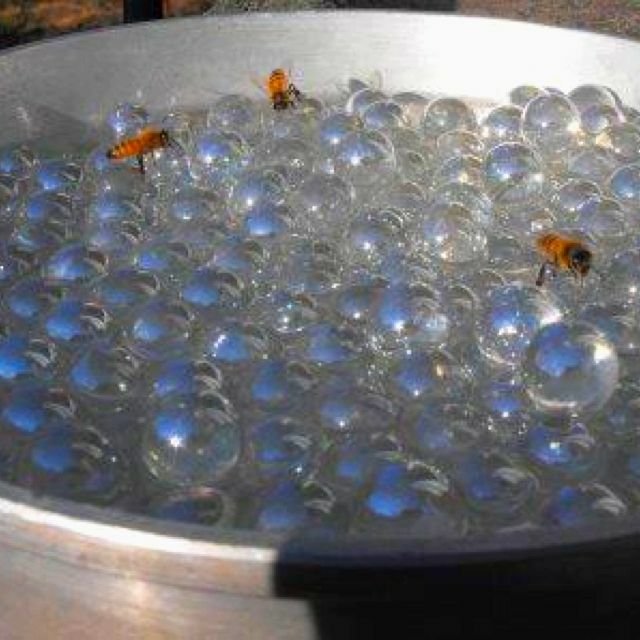 I hope you see how easy it is to help honeybees in your very own backyard! Check out this article for tips on how the average gardener can protect the bees. By simply planting the right flowers, letting your dandelions live longer, and providing a safe place for bees to drink, you are helping our bees to survive.